Syria is among the countries in the Middle East which produces oil, though not nearly enough to be counted as one of the major producers, such as the giant Saudi Arabia or even tiny Qatar, the second smallest oil producing country. However, Syria’s output makes it the only substantial oil producer in the Eastern Mediterranean region. While Saudi Arabia and Qatar used the practically limitless revenue dollars they reaped by the barrel-full (pun intended) to boost their political clout and propel their political agendas and enhance their prestige in the business and financial worlds in the region and beyond, Syria spent its oil revenue on procuring armaments, maintaining a relatively large army and multiple and redundant security services with the sole function of maintaining the current regime in power. Thanks to their oil revenues the Saudis have become a major regional power, the Qataris have bought just about anything of value in Western Europe, from Swiss banks to France’s top soccer team, Paris St. Germain. The Syrians wasted an opportunity to compete in a global market and to better their economy, something they could have achieved with their 410,000 -500,00 barrels per day that Syria’s oil industry used to churn out. 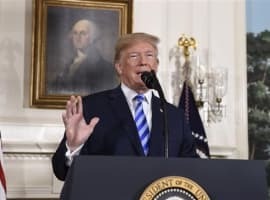 Syria’s oil industry further suffered from the leadership’s politics and policies as the country faced serious sanctions from the United States for what was deemed to be the government’s support of terrorist organizations. The country’s production peaked in 1996 at 590,000 bbl/d and later fell to 460,000 by 2004. Today it hovers around the 330,000 bbl/d. Additionally some of the older fields such as Jebisseh have reached maturity. 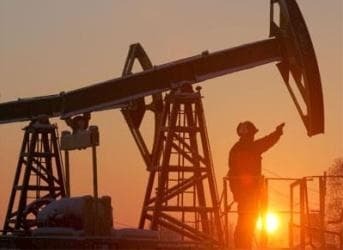 By August 2012, Syrian oil minister announced that the country’s output had dropped to a meager 140,000 bbl/d. Granted, Syria’s output shies when compared that of Saudi Arabia’s 11,153,000 bbl/d, or Qatar’s 1,167,000 bbl/d. Nevertheless, the regime squandered potential opportunities to build a better future for their people. The sad state of the Syrian oil industry could offer interesting returns for French and US oil companies, the two countries who have shown themselves the most supportive of the anti-Assad rebellion. 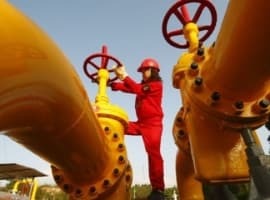 In the past bids to conduct exploration for oil in Syria were placed by companies from India (ONGC Videsh), Canada (Tanganyika and PetroCanada), China's CNPC, and Devon Energy and Gulfsands Petroleum of the United States. And shell oil was given exploration rights in the Damascus-Palmyra area. Syria’s main producer of oil is al-Furat Petroleum Company, a state institution set up in 1985. It is owned by the Syrian Petroleum Company (SPC), Shell, and PetroCanada. Eventually Syria’s civil war will come to an end and the country’s sagging oil industry will have to be rebuilt. As was the case in Iraq, the new regime will remember those who stood by their side and helped them in their struggle. The Bakken Oil Boom: Moving "Back Home" to Montana?